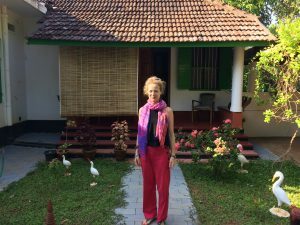 Backwater Cottage (Not Air Conditioned) is right next to the backwaters and used to be an old coconut farm house which was renovated and converted to a homestay for those looking for privacy and quietness away from touristy Cochin. 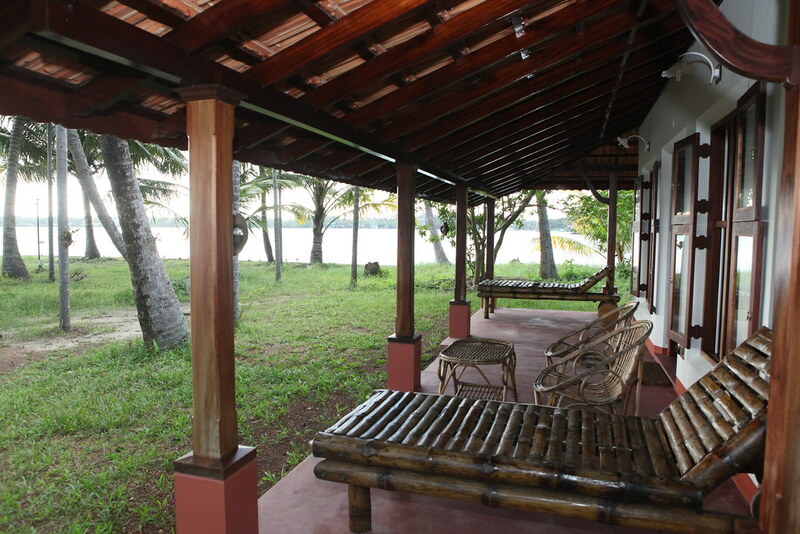 The large room has twin beds (two extra beds on request), fans but no air conditioning, a veranda all around over looking the backwaters, walk in toilet and roof open shower area with solar water heater. 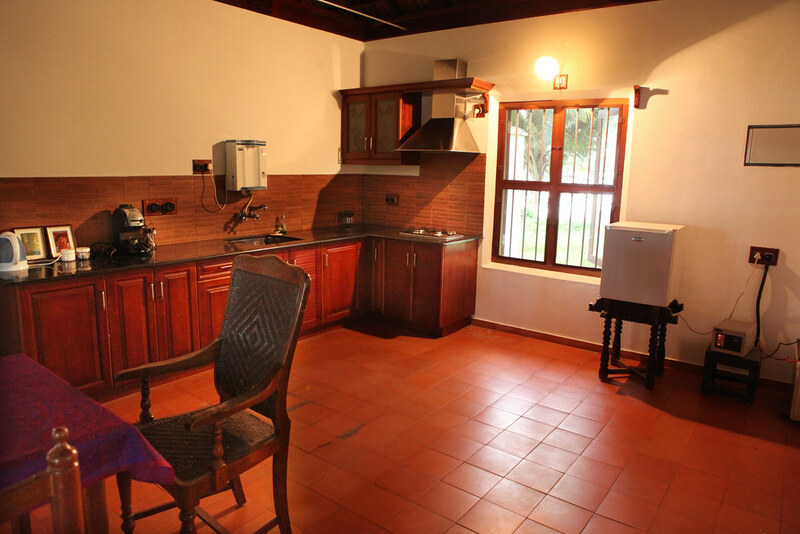 For those who looking for longer stay, the kitchenette contains a fridge, water purifier, electric kettle, pans, pots, hob, washing sink etc. 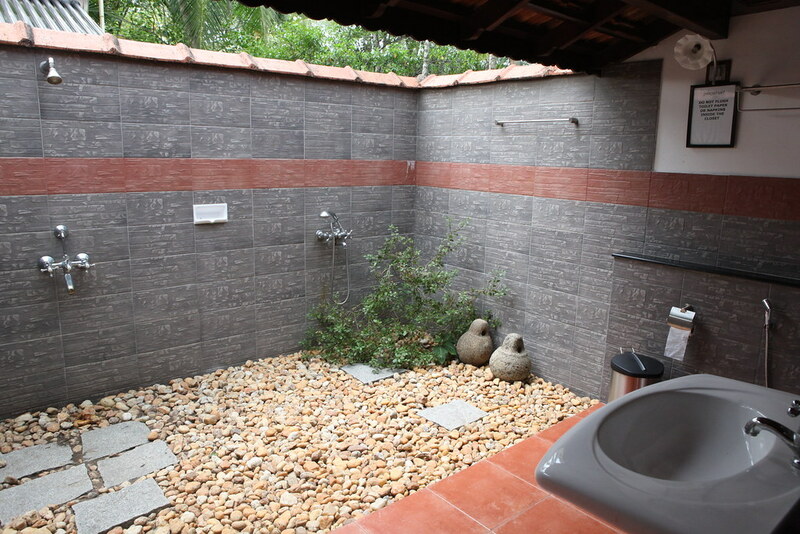 making it an ideal choice for staying in quiet ambience. 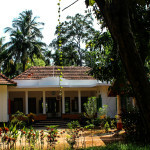 It is independent of the main house, just 100 meters away from your host family. Ease steps for differently able and less moving persons. 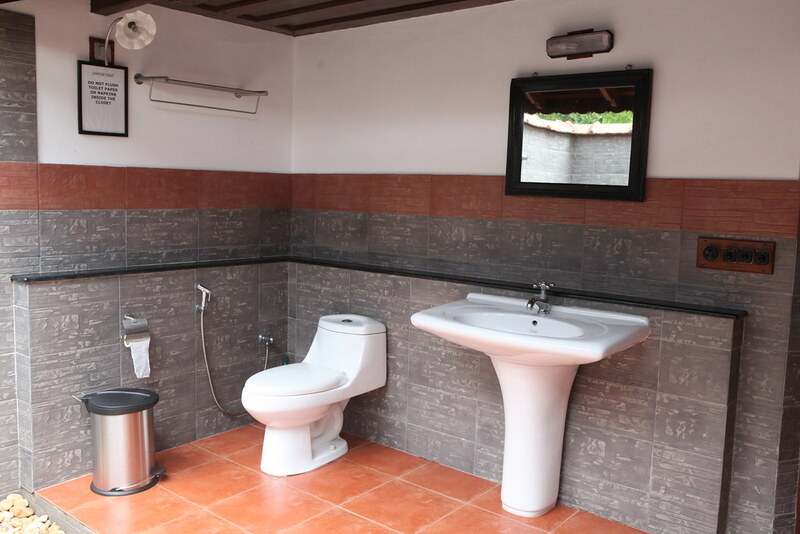 Self catering option available. 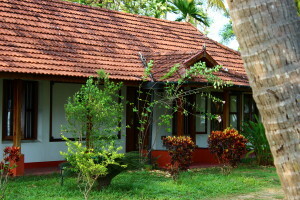 Only One Backwater Cottage which is unique in character and is highly recommended. 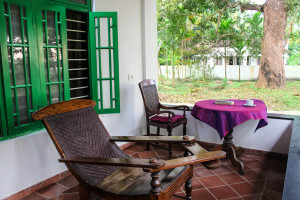 Garden Room (Air Conditioned) is a stand-alone back wing of the main house itself where Jos and Lyma live. 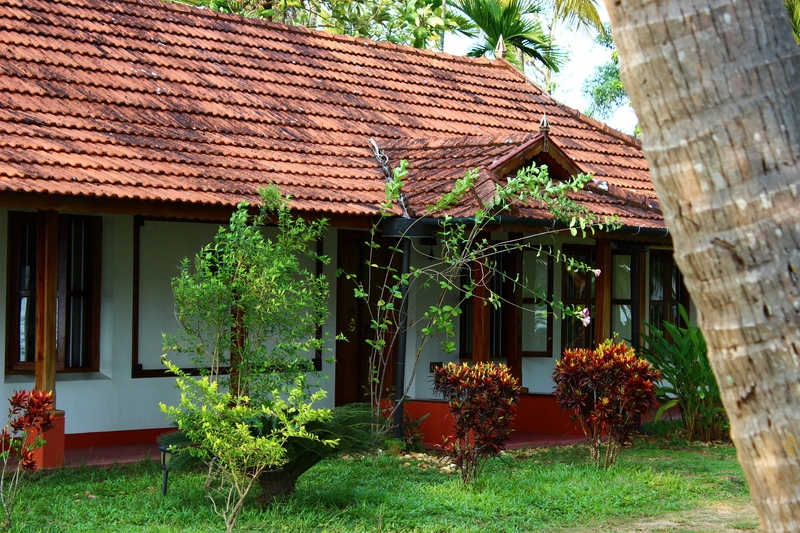 The room has 13 x 13 feet size, attached toilet and a private sit-out opens to a spacious garden and backwaters where you can while away a lazy afternoon. 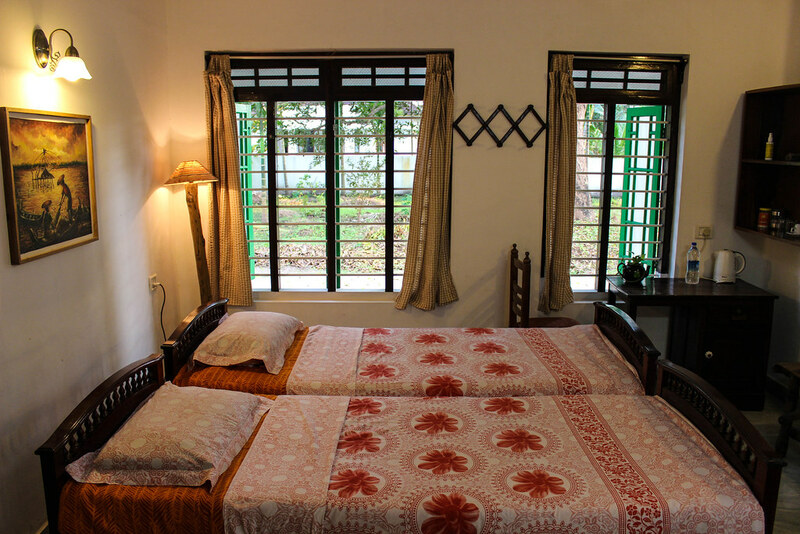 Air conditioned, spotlessly clean and furnished with antique furniture, electric kettle, western toilets and walk-in showers. 50% of payment on confirmation of booking. 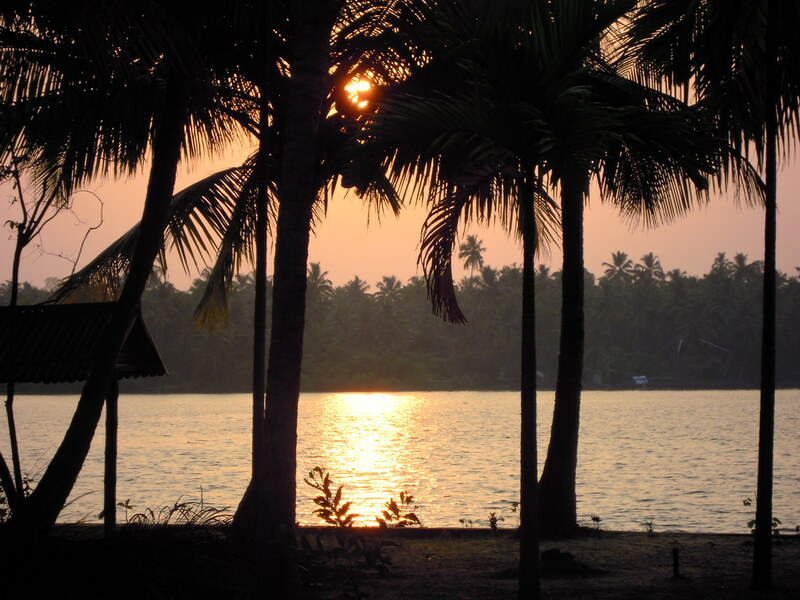 Organizes airport transfers, local trips and holiday itinerary.